While some people in various parts of the U.S. are panicking over a series of creepy clown sightings, McDonalds has decided to keep their mascot Ronald McDonald out of sight for a while. While it is hard to believe that people would mistake the familiar fast food clown for a creeper, the public reputation of clowns as a whole is not particularly positive or even neutral right now. 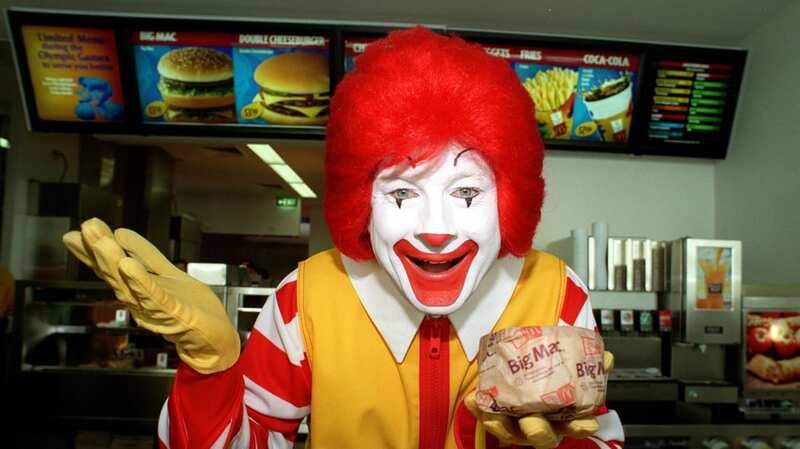 McDonald’s isn’t placing an outright ban on public appearances by its red-nosed clown, a corporate spokesman said. But the company is “being thoughtful in regards to” Ronald McDonald’s appearances. There is no word on whether the clown will be paid for his time off. A woman was in the checkout line at the Payson, Utah, Walmart when she began to feel stomach pains. She was in labor. She asked a store employee to call 911. While on her knees, she still insisted on paying for her purchases. The unnamed woman completed the transaction, then laid down on the floor and gave birth before the paramedics arrived. Employees were excited to tell the story, and the store is planning to buy her a supply of diapers and other baby supplies. An explosion at the Shuttle Car Wash in Titusville, Florida, caused $500 in damage to a vacuum cleaner, but fortunately, no one was hurt. The explosion, around 5 p.m. Monday, was captured on surveillance cameras. Apparently, the woman was trying to vacuum up gasoline that was spilled in her trunk. As the vacuum machine was burning, she got in her car and drove away, and hasn’t been seen since. Guy Williams tried to get some video of a raccoon he spotted on the campus of Bellarmine University in Kentucky. He had been feeding the raccoon acorns and even named him Stanley. Williams set his phone down while recording video in order to get a ground-level angle. Stanley grabbed the phone with his teeth and took off running with it. The phone continued to record as the raccoon ran away, with William’s yelling “Stanley!” as he gave chase. Stanley dropped the phone, apparently convinced that it did not taste that good. You can see the video here. A broken 24-inch water main caused flooding in the Crayford neighborhood of southeast London in Sunday. While thousands of homes were without water service, the streets were flooded. An underground parking garage took on so much water that a floor expanded and rose several feet- far enough to crush cars against the ceiling! A number of vehicles crumpled after polystyrene insulation under the floor appeared to float or swell, forcing them into the concrete ceiling above. Flood water rose several feet at the newly-built car park below a block of flats in Crayford, south-east London. Residents said they had been warned if any of the cars were removed too hastily it could result in gas explosion. No one was injured, but more than a dozen cars are thought to be affected, some badly enough to be considered totaled. Can anyone explain why a parking garage has several feet of polystyrene insulation in the floor while the ceiling is concrete? You can see a news report on the flood here.